In 2014, a small and unknown smartphone manufacturer out of China shook the mobile industry by releasing a phone called the OnePlus One. It came with a flagship processor, plenty of RAM, and a large battery, but more importantly, it came at a price that significantly undercut the competition - $300. Engadget's review summed up the phone's appeal nicely. For $300, no other phone comes close to what the OnePlus One offers. Not only does it look and feel like a premium device, but it also comes with specs similar to what you'd find in a flagship smartphone. If you want a high-end phone on a budget, look no further. At the time, it was hard to predict what would become of this company. Chinese smartphone brands don't typically do well outside of Asia, and the market was already dominated by larger brands like Samsung and Apple, with smaller players like Motorola, LG, and HTC fighting for scraps. Fast forward a few years into the future, and OnePlus is now a major player in the smartphone industry, competing on the same level as those big name players. Some might even say the company has surpassed many of the more established brands like Motorola, LG, and HTC. OnePlus has done an incredible job to climb the ranks of the smartphone market, but it wasn't always smooth sailing. Here's a brief look at the rise of OnePlus. The good news for OnePlus though, was that it worked. The invite-system spread the word of this unknown company making a great phone for a very affordable price, and OnePlus enjoyed the free marketing. Thankfully for consumers, the invite-system didn't last forever. By the time OnePlus made its fourth phone, the OnePlus 3, the invite-system was gone. OnePlus was finally selling phones openly to the public, and everyone was happy. They say there's no such thing as bad publicity; any form of publicity is good publicity. In the case of OnePlus however, there was quite a lot of bad publicity. Very bad publicity. For starters, they ran a contest alongside the launch of the OnePlus One where people were asked to literally smash their phones for a chance of buying the OnePlus One for $1. This was bad for a number of reasons, which I'm sure you can figure out on your own. 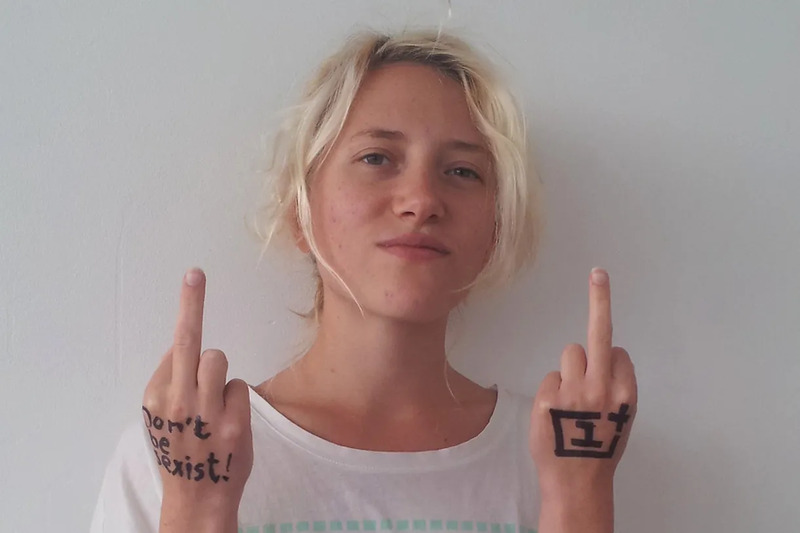 As if that wasn't bad enough, OnePlus shot itself in the foot yet again by hosting a sexist "Ladies First" contest, where women were asked to post selfies of themselves on the OnePlus forums, and the most liked entries would win a chance to buy the phone. That's right. They wouldn't even win the phone, just a chance to buy the phone and skip the invite-system. Unsurprisingly, this contest was met with enormous backlash, and OnePlus halted the contest almost immediately. Thankfully, OnePlus has grown wiser and more mature. These ridiculous campaigns have come to an end, and OnePlus is relying on the inherent power of social media to market its products. Unable to compete with the financial clout of companies like Apple and Samsung, OnePlus focuses all its energy on social media to build up hype for upcoming product launches, and it seems to work. Just before a new product launches, you'll find OnePlus teasing the device on social media. Many companies actually do this, but not as frequently or as well as OnePlus. Another area where OnePlus excels is social media interactions. Despite not having the biggest following on Twitter, OnePlus is the most active, beating out the likes of Samsung and Huawei when it comes to engagements on Twitter. OnePlus also likes to collaborate with YouTubers to help out with marketing. Prior to the launch of the OnePlus 6T, OnePlus got Jonathan Morrison to do a blind camera comparison for YouTube. This wasn't done with the expectation that the OnePlus 6T would beat the other phones, but merely to build hype for a phone that costs significantly less than the other phones, yet could take photos that were much closer in quality than you'd expect. Speaking of YouTubers, you may have heard of a guy called MKBHD. His videos get a lot of views, and I noticed something interesting. Despite being out for the shorter amount of time, his review for the OnePlus 6T has actually garnered more views than some other, more expensive smartphones. Phones whose reviews have been out for much longer. At the time of writing, his 6T review has 4.3 millions views. This is more than his iPhone XS (3.6 million views), Pixel 3 XL (2.2 million views), and Galaxy Note 9 (3 million views) reviews. More amazing however, is his review for the 6T's predecessor, the OnePlus 6. That video has an astonishing 20.6 million views. Admittedly, these views may have been artificially inflated, so make of that what you will. Regardless, it does look like a lot of people are really interested in OnePlus' phones, and if you ask me, there are a few good reasons for that. One of the reasons I personally chose to get a OnePlus phone over anything else was the software experience. I was keeping tabs on Oxygen OS well before I got the OnePlus 5T, and I watched how it continually improved over time. I love how unlike many other OEMs, OnePlus adds genuinely useful features to Oxygen OS without butchering the Android experience. OnePlus has done such a good job with it, that Oxygen OS is now commonly regarded as one of the best OEM skins of Android. I like it so much that I didn't even care that I "downgraded" from Oreo to Nougat when I switched from the Nexus 6P to the OnePlus 5T. That's how good I feel Oxygen OS is. Despite how great Oxygen OS is, it might surprise you to know that it didn't even exist when the company launched its first phone. Back then, OnePlus partnered up with popular custom ROM maker, Cyanogen. It was a sketchy partnership from the beginning, and unsurprisingly it didn't last long. Within a year, OnePlus cut ties with Cyanogen after the latter was found to be a shady business partner, to say the least. Some might have thought that this was the end for this young Chinese company, but despite still being so young, this didn't hurt OnePlus at all. In fact, breaking up with Cyanogen turned out to be one of the best things to happen to the company, a real blessing in disguise. After the partnership with Cyanogen swiftly ended, the company came up with its own in-house version of Android, Oxygen OS. From there, the company never looked back. As a company that relies on its users to act as ambassadors, spreading word of the company's products to friends and family, it would make sense for OnePlus to maintain a good relationship with its fans. To this end, I'd say OnePlus has done a wonderful job. Earlier this year the company hosted a number of Open Ears Forums in several countries. At these forums the company met with fans and gathered feedback on how they can improve their products and services. In addition to gathering feedback, OnePlus also makes an effort to explain certain decisions to consumers regarding its upcoming phones. On the OnePlus forums, CEO Pete Lau explained why the company still doesn't include wireless charging in its phones. He touched on this again in an interview, not with an established news publication, but with a forum member, something which I don't think any other CEO has done. In an interview with The Verge, Carl Pei took the time to explain to consumers why the OnePlus 6 would come with a notch. With the OnePlus 6T, he sat down with TechRadar to explain why it wouldn't have a headphone jack. Ever wondered how Oxygen OS got its name? Forum members were given the chance to name it in a contest. This effort shown by the company to communicate with its users is something I don't think I've seen any other company do to such an extent, and it's why I believe the fans love the company. OnePlus is proud of involving its community as much as it can, and it acknowledges that any improvements the company makes is thanks to feedback from fans. Lastly, OnePlus' ascension is topped off by its recent foray into the American market. In his review of the OnePlus 6T, Michael Fisher said this is the first time people who live in America "actually have a reason to care" about a phone from OnePlus, and judging by the crowd that gathered at the Times Square T-Mobile store, it seems a lot of people do care about the phone. Not only was this the first time OnePlus partnered with an American carrier to sell the phone, this is also the first phone from the company to be supported by Verizon (though apparently it's not that straight forward). OnePlus already has a strong foothold in other markets around the world like India, and while it faces an uphill battle in the US, the 6T will definitely open the door for the company and it looks like it's making a strong start. It's hard to believe that not too long ago, OnePlus didn't even exist. When the company launched it's first phone, people asked "if this company will even be around in two years", and rightfully so. The smartphone industry is a tough business to compete in. Look no further than Android co-founder Andy Rubin's failed effort with the Essential PH-1 or Amazon's Fire Phone. The fact that these two attempts at entering the smartphone market failed despite having both reputation and resources, yet a newcomer with no reputation other than simply being "another Chinese manufacturer" has not only managed to survive, but thrive in such a short time is incredible. OnePlus had a rocky start to its journey, but it seems like through that adversity OnePlus has come out stronger. It's hard to predict what will happen in the mobile industry, but I think it's safe to assume that OnePlus will be a major player no matter what happens. Had a OnePlus 3T, an excellent device. The only thing keeping me from grabbing 6T is lack of waterproofing. But still, it is superb value for money, no doubt. Jazli, that's the best history of the rise of OnePlus I have ever read. You're a jewel. I worked with Andy Rubin for a couple of years and knew Jeff Bezos back in the day, and to beat those two is a freaking miracle, especially considering how many resources they could muster. Your review got me wondering about Pete Lau so I followed some of your links to read his interviews with forum members. He seems like just a superb product guy, electrical engineer, who has a minimalist design philosophy to remove as many burdens as possible for the user. He even outdid Bezos in that regard. Speaking of Pete Lau, I thought he did a great job at the OnePlus 6T event in New York. Normally Carl Pei is the face of the company, but the launch of the 6T in the US was a big deal, so I guess he thought he needed to step up. You could tell he was nervous. English isn't his first language, and he seldom speaks in front of large crowds, let alone an English speaking crowd. The fact that he mustered up the courage to lead the event is highly respectable. As to the marketing failure of ladies taking selfies, this is just a cultural difference between Asia and the West. Asian women still know that men are attracted by their looks whereas in the West we are somehow embarrassed to admit this.